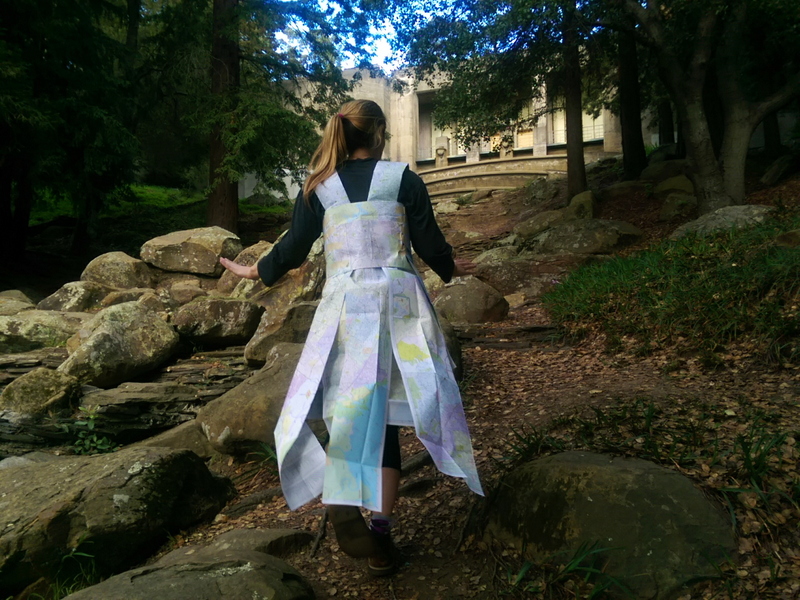 Hatchlings gathered at Joaquin Miller Park in Oakland on Saturday, February 28, 2015 for No There There 2015, a one-day site-specific performance-making event. After collaborating and devising during the morning and early afternoon, we invited a small audience to witness what we’d created during the day. Like last year’s No There There, we led the audience on a tour of the small performances that happened sequentially throughout the park. The weather was threatening all day — rain was predicted, we got a few drops, and it even hailed nearby — but we took our chances and the ominous clouds made for a spectacular sunset backdrop to the end of the performance tour. Special thanks to photographers Heather Mann and Melina Meza. Lili Weckler dances on the Joquin Miller Park stairs. Photo by Melina Meza. Amy Cranch. Curator: Emlyn Guiney. Photo by Melina Meza. Robb Godshaw gives a corporate pep-talk at the Pyramid to Moses. Curator: Nina Sarnelle. Photo by Rebecca Longworth.